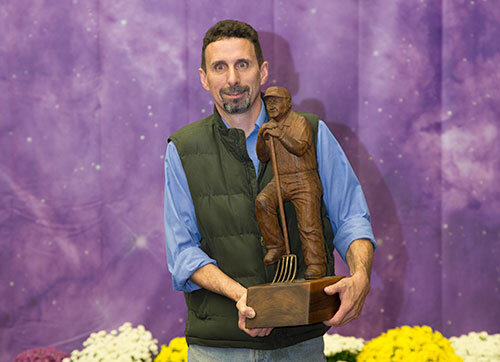 Richard Caverly, Benton, Maine, won the coveted Klussendorf-MacKenzie Award presented during the 47th World Dairy Expo, in memory of Duncan McKenzie, 1961 Klussendorf winner. 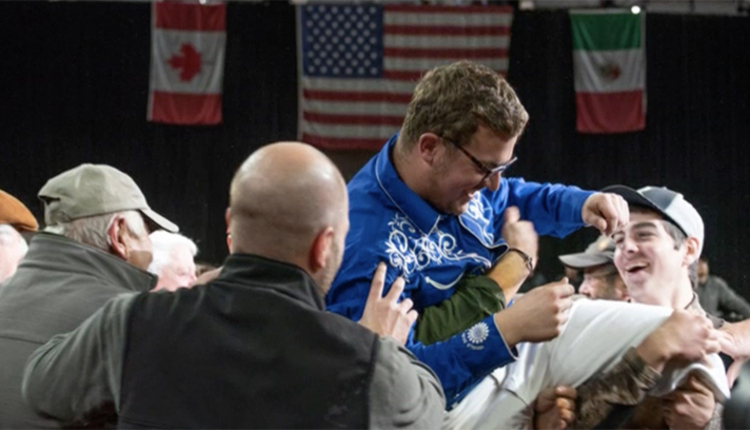 This Northeast U.S. native has traveled the world working with great cows and he always made them his priority, no matter who owns them. 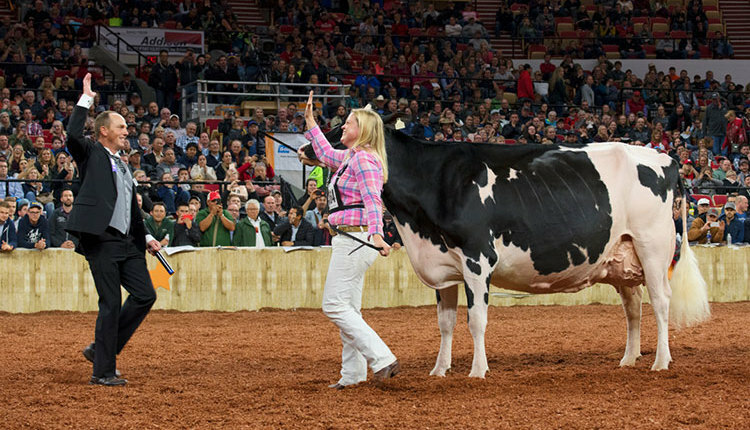 Many dairy enthusiasts will recognize the cows Caverly worked with as household names in the industry - Gold Prize, Nadine, Melanie, Delilah, Ashlyn, Victoria, Veronica and Frannie. 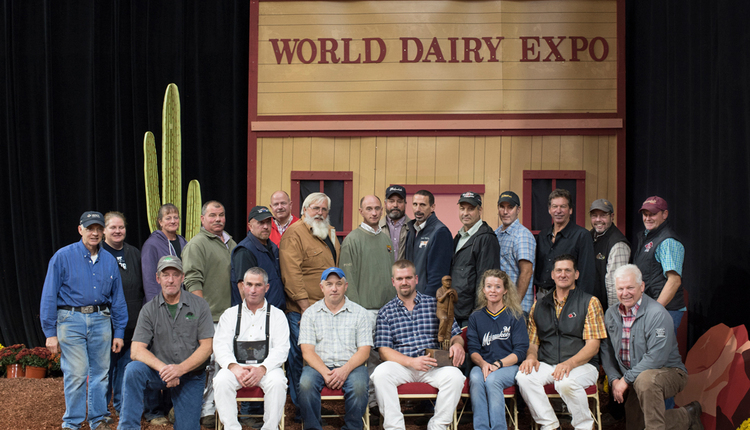 Those who have followed the show at World Dairy Expo will know there are four Supreme Champions on that list. 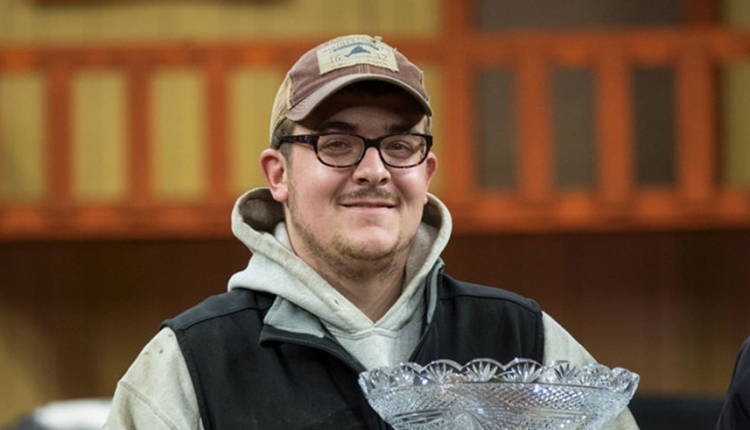 And Glenamore Gold Prize holds a special place in the heart of this Maine native as he worked with her all five times she was Grand Champion at The Royal Agricultural Winter Fair. 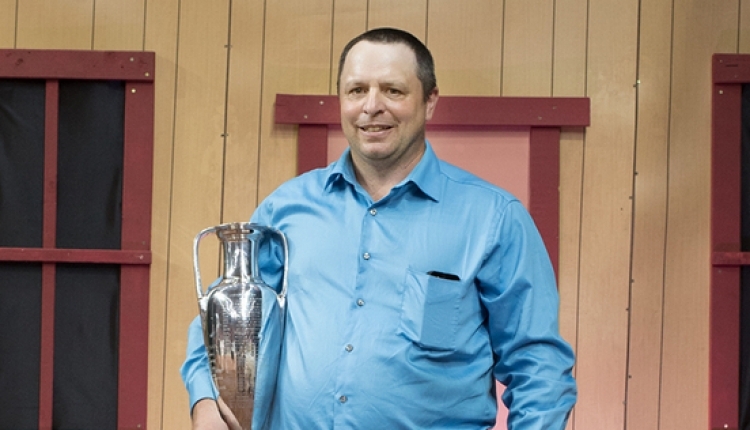 The 23rd Duncan MacKenzie Award winner's journey began on his home farm where he worked with the famous 97-point Ayrshire cow Belladina and the 1978 World Dairy Expo Champion Helga. Caverly then went on to work for farms in Massachusetts and Pennsylvania, as well as for dairymen in Brazil. In 2001, Caverly became the first herdsman for Arethusa Farm in Connecticut. Since then, he moved back to his home state and works for the 1,700-cow Flood Brothers Dairy. 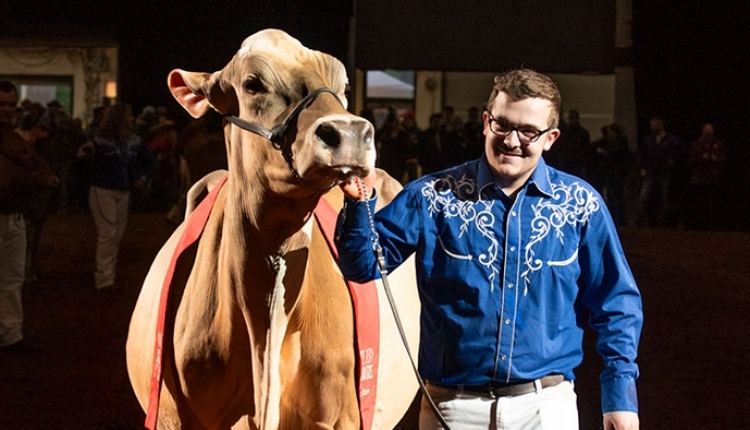 In addition, he and his wife, Beverly, have a small herd called Wyman Dairy which consists of Ayrshires and Holsteins. 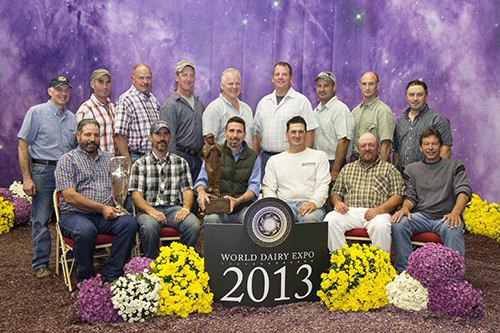 The herd included Sweet Pepper Black Francesca, the two-time Ayrshire Grand Champion at World Dairy Expo. Above all these accomplishments, Caverly exemplifies all the principles of a Duncan MacKenzie recipient as to character, sportsmanship, ability, and endeavor.